NGT order on diesel vehicles . New Delhi: Truckers today deferred their proposed strike till May 1 against the National Green Tribunal order to ban plying of diesel vehicles of more than 10 years in the city. 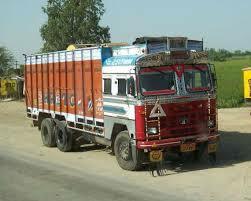 Earlier, truckers had threatened to go on strike from midnight tonight to protest against the ban. Truckers' body AIMTC President Bhim Wadhwa told PTI: "We have deferred our strike call from midnight tonight in the national capital region against the NGT order to May 1 after assurances from Union Transport Minister Nitin Gadkari to look into the issue. We are hopeful of a solution." Meanwhile, the National Green Tribunal today stayed for two weeks its order to impound diesel vehicles, heavy or light, plying in the capital for more than 10 years. Also, the government assured truckers to look into the issue including filing of an affidavit seeking more time to implement the ban. "We will file an affidavit in the Supreme Court in a day or two seeking more time as two weeks time by NGT is grossly insufficient. We respect the sentiments of the NGT to control pollution but the issue needs a comprehensive policy and we will seek more time to address it," Road Transport and Highways Minister Nitin Gadkari told truckers. A comprehensive policy will be prepared in this regard within six months and will be implemented in a time-bound fashion, he said, urging delegations from Delhi Transporters Association and Delhi Goods Transportation Association to call off strike. In addition to seeking more time from the apex court, the government will also explore possibilities of fitting equipment in vehicles to minimise pollution besides promoting bio-fuel. "The government may take the step of framing a new law in Parliament", Gadkari said, when transporters pointed out the provision in the Motor Vehicles Act that diesel vehicles have 15 years life. He said the Centre will not only file affidavit with the apex court but will also appeal the Delhi government to cooperate in the matter. Wadhwa said it was the issue of livelihood of about two lakh truckers and their dependents in the national capital region and AIMTC had full faith that union government will intervene in the matter in the larger interest of the community and will come out with a solution. AIMTC which represent over 50 lakh truckers has threatened to stop moving goods in and out of the NCR from midnight today against the NGT's order. Gadkari said he respected the Green Tribunal sentiments to control pollution and his Ministry has already taken a slew of steps in this direction, including expediting the Eastern Peripheral Ring Road construction at an estimated Rs 6,000 crore that will ease the burden off the capital roads. Also, he said his Ministry has commissioned a Rs 10 crore study by Central Road Research Organisation to come out with a solution to minimise the traffic jams in the capital. Among other steps to ease congestion and minimise pollution are construction of Transport Nagar and storage in the bypass besides promoting use of bio-fuels, including ethanol and bio diesel. He said he has also urged Commerce and Industry Minister Nirmala Sitharaman to withdraw 35 per cent duty on import of edible oil once used and allow it for use as bio diesel here. Delhi Transporters Association General Secretary Sundeep Jain said the NGT order has pronounced disaster for truckers and people associated with them and urged the Minister to intervene into the matter. "Government should consider importing devices from US that minimise pollution by 60 per cent and allow fitting them in existing vehicles," he said. At the same time he said if the government completes Kundli-Manesar-Palwal road it would automatically divert 60 per cent of trucks which at present enter NCR, to which Gadkari said he has held talks with Haryana government in this regard which is expediting the project. He also drew the attention of the Minister that NGT order was beyond the comprehension of the truckers as the Motor Vehicle Act which governs the sector provides for 15 years life to diesel vehicles. A delegation of truckers yesterday had met Delhi Chief Minister Arvind Kejriwal, seeking his intervention into the situation emerging after NGT's order. The tribunal had directed the Delhi transport department and other concerned authorities to prepare a comprehensive data of registration of vehicles which are 10 or more years old. Truckers had last gone on strike in 2009 against diesel price hike.